Deliver high-quality, flexible e-learning solutions that provide excellent contribution to overheads. Vision2learn has a tried and trusted reputation for producing effective e-learning programmes for further education colleges, training providers, and private and public sector organisations. Since 2001 over 150 organisations have benefited from vision2learn’s specialist online learning expertise, driving outstanding success rates for over 100,000 learners. Enhance the skills and increase the productivity of your workforce with our online vocational qualifications. All vision2learn courses are studied using our 100% online learning platform, so your staff can learn flexibly in their own time outside office hours if necessary. 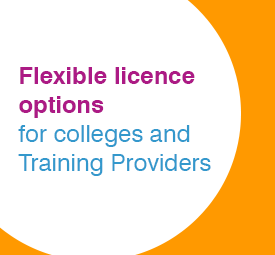 All qualifications are accredited by national awarding bodies, including NCFE and Innovate Awarding, and delivered by a further education college or training partner. Join over 100,000 UK adults who have gained vital skills and qualifications online through vision2learn. Fit flexible online study into your life and gain really useful Full Level 2 qualifications including Business and Administration, Essential IT Skills, Lean Organisation Management Techniques, Customer Service, Dementia Care and Nutrition and Health. All qualifications are vocationally based and highly valued by UK employers. 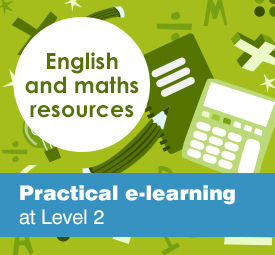 Learner, tutor and college administrator access to the vision2learn e-learning platform.